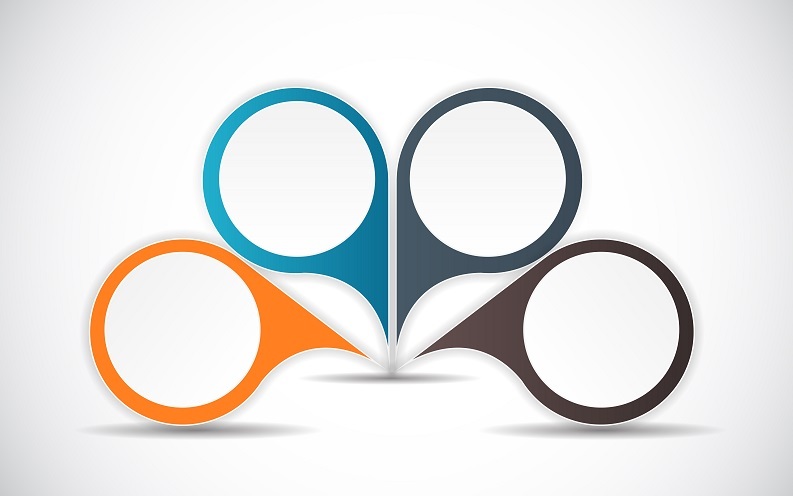 Fonts, images, logos, and videos are some of the most eye-catching elements of your website. While your content is what defines your site, the graphic elements act as the content setting — it helps it stand out. Design elements can quickly get expensive enough to affect any budget, which is why it’s so important to find affordable options. Luckily, some sites even offer professional-quality design elements for free. Stockio is one option for anyone looking for high-quality images, vectors, fonts, or videos. When you’re picking a font, you want something that’s easy to read, attractive, and that fits the theme of your website. For example, a dark, gothic font isn’t the best option for a site designer who wants to sell children’s toys. It’s also important to remember that other design elements will have an effect on which font you use. Small or light fonts might be overpowered by a lot of large, bright images or videos. On the other hand, light fonts can offer a certain elegance to a page with minimalistic design. Take a look at the Stockio fonts, each of which is available for free. You can clearly see that they run the gamut from clear and easy to read to scripted fonts that look like they were handwritten. Each of these has their time and place. 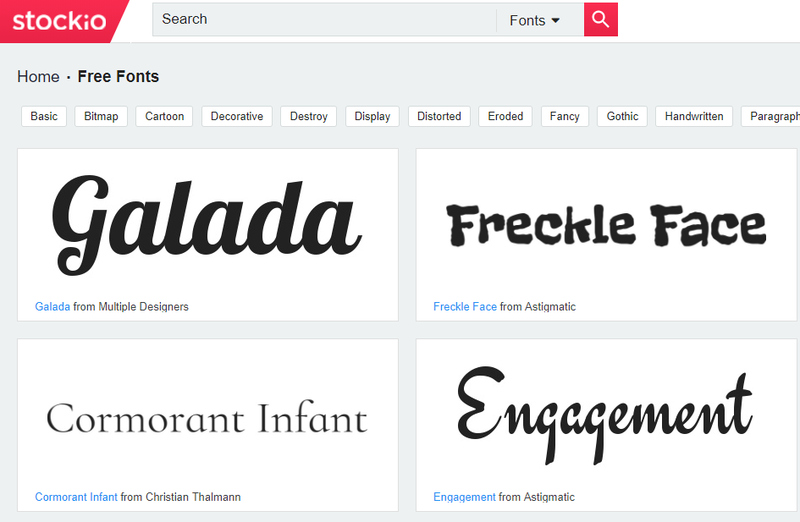 Since you aren’t paying for the fonts, you can try several different ones to see which best suits your site. There’s a whole range of options to choose from and each one is absolutely lovely. It’s common for websites to use a variety of images on each page. Whether you’re designing a banner, trying a new background, or illustrating a blog post, you’ll need many attractive and professional images. It’s also important to use resources that cover a lot of different topics. People who design websites know that projects vary greatly from one day to the next — one day you need a picture of man in a raincoat and the next you need a bull in a green field with mountains in the background. It’s not easy to take professional pictures yourself and it’s also very time consuming. That’s where Stockio comes in. The images on the site are of the highest quality and cover a variety of topics. There are landscape images, artistic images, and photos of locations and people. Just scroll through some of the pages or use the search function to see all the fantastic pictures that you can use to decorate any website you build. Vector files are image files that are comprised of paths instead of pixels. This type of image is useful because it doesn’t lose quality as you scale it up and down. That’s one reason why vectors are so important when you’re designing graphics for things like logos or images you want to use over and over. Normal images comprised of pixels lose information every time you resize it or edit it; this doesn’t happen to vector files. Stockio has many vectors available for web designers who are creating art or looking for files that will be used again and again. They have everything from backgrounds to holiday cards to cartoons of coffee cups or flowers. If you’re looking for something specific, they’ve got you covered. If you aren’t, consider just scrolling through the free vectors offered on Stockio’s website. You’ll definitely find something great to work with. Videos add a pop of motion to your website that can add interest to an otherwise static page. Even short videos can make the site look more dynamic. Video files can also be used as splash pages or in other types of pop-ups you create to get immediate attention. They’re definitely an element you should consider, depending on what type of website you’re designing. Like the rest of its content, the videos supplied by Stockio are free to use for both business and commercial purposes. They’re sharp, interesting, and clear. The image quality is excellent. Stockio offers a whole repository of great videos with many different themes. Whether you’re looking for tranquil clouds blowing over a blue sky or a video of a bar counter with clients milling around, or something else entirely, you’ll find it for free on Stockio. Ultimately, Stockio is a great one-stop-shop for web designers looking for elements like pictures, videos, fonts, and vectors. Since they stock high-quality, professional content, it will help keep every project you do looking sharp. Check them out today and start downloading things that catch your eye. After all, inspiration is one of the hardest things to come by when you’re designing a website — there’s no reason not to get a jump on it by browsing what Stockio has to offer.